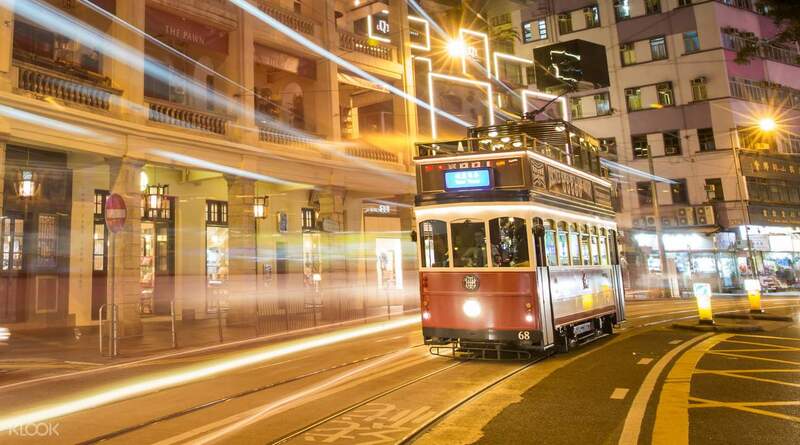 Hop aboard a 1920s style open top tram and embark on a fascinating sightseeing tour through Hong Kong. 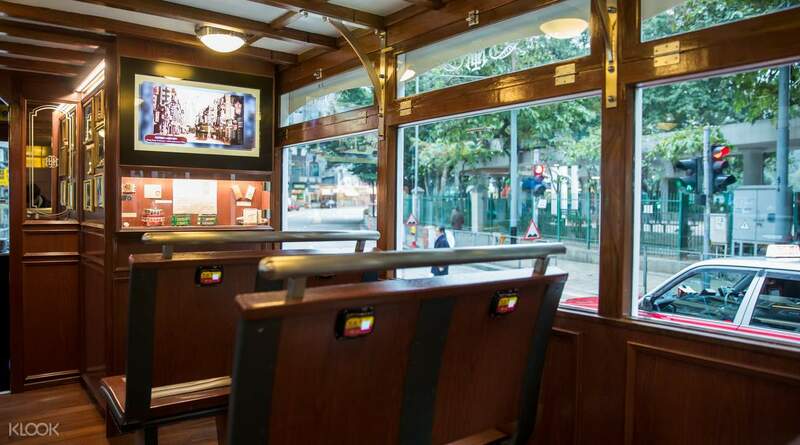 The city's 'ding dings' (what the locals like to call the trams) are an iconic part of Hong Kong's culture and you'll have the opportunity to experience one of the few trams perfectly preserved in the original style. During the ride you'll encounter bustling streets, modern skyscrapers and famous attractions. 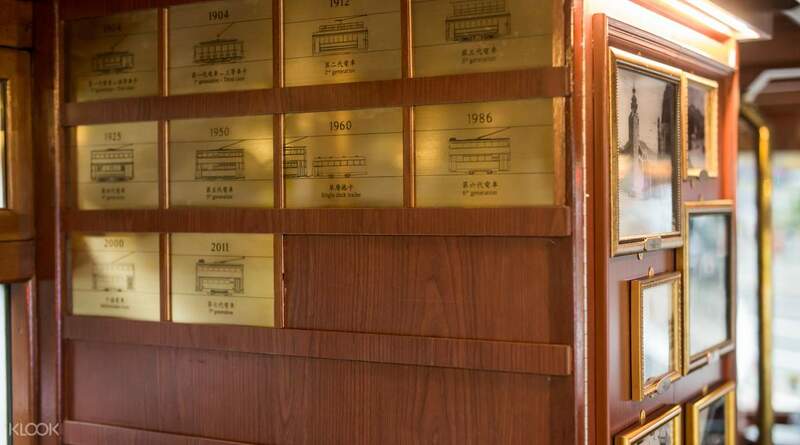 The TramOramic Tour is one of the top things to do in Hong Kong for anyone who'd love to get closer to the city's fusion of historic and modern culture. great...... its so fun n exiting to have the Tram Journey. we can explore Hongkong in arround 1hours with special Tram. in addtion with Klook all become easy, and at good deal.. so easy, just show n go.. staff at the tram able to speak English, so that no communication barrier. great...... its so fun n exiting to have the Tram Journey. we can explore Hongkong in arround 1hours with special Tram. in addtion with Klook all become easy, and at good deal.. so easy, just show n go.. staff at the tram able to speak English, so that no communication barrier. easy to locate terminus! its take 1hrs ride and the commentary were informative and the crew was nice. also we get free golden ticket for 2days unlimited tram rides. with tramornamic tour we can know about hong kong history and trams was clean. easy to locate terminus! its take 1hrs ride and the commentary were informative and the crew was nice. also we get free golden ticket for 2days unlimited tram rides. 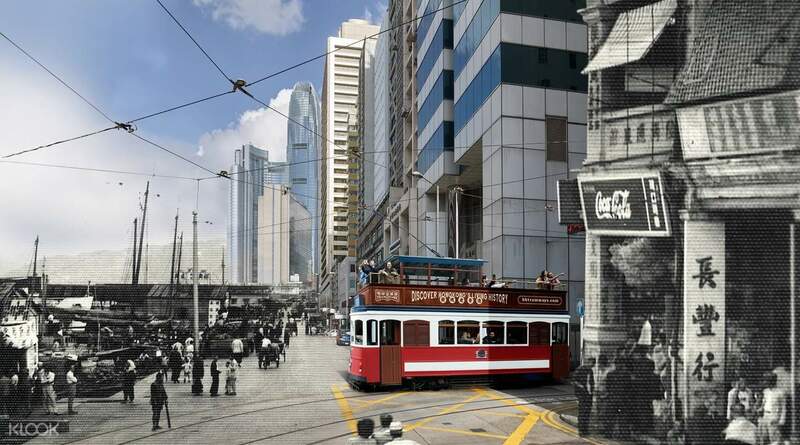 with tramornamic tour we can know about hong kong history and trams was clean. We loved it !!! Lovely driver, very friendly and helpful, also offered to take photos. We got headplugs for the audio tape for the tour and the commentary was very clearly spoken. Not always the case. It took just over an hour and you even get a free two - day tram pass on top. Great value! And again cheaper with Klook! We loved it !!! Lovely driver, very friendly and helpful, also offered to take photos. We got headplugs for the audio tape for the tour and the commentary was very clearly spoken. Not always the case. It took just over an hour and you even get a free two - day tram pass on top. Great value! And again cheaper with Klook! Great experience to tour Hong Kong. The driver and tour guide were very nice and polite. Free unlimited tram rides for 3 days after the tour which you can use to go wherever you want to eat, shop or tour. Recommended to stay on the upper deck and during the night. Great experience to tour Hong Kong. The driver and tour guide were very nice and polite. Free unlimited tram rides for 3 days after the tour which you can use to go wherever you want to eat, shop or tour. Recommended to stay on the upper deck and during the night. 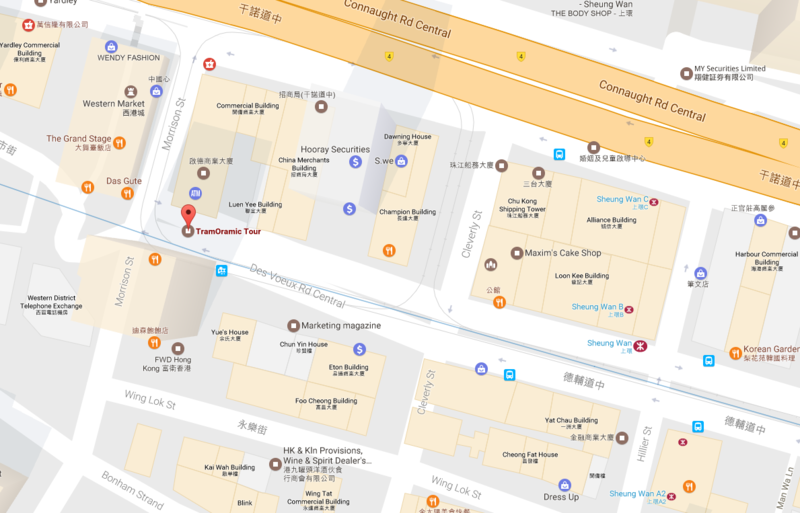 Easy to locate terminus after exiting the MTR station as it was located right at the centre of the road, less than a minute walk. The 1hr ride was smooth and the commentary were very informative. Great way to see and enjoy the historical landmarks. Numerous opportunities to take pictures throughout the journey. A good experience. The golden tickets were great souvenirs too! Easy to locate terminus after exiting the MTR station as it was located right at the centre of the road, less than a minute walk. The 1hr ride was smooth and the commentary were very informative. Great way to see and enjoy the historical landmarks. Numerous opportunities to take pictures throughout the journey. A good experience. The golden tickets were great souvenirs too! Great experience to ride the 1920s vintage tram, very nice of the driver to help us take photos before tram ride start and end. Can see many nice buildings, famous streets such as shueng wan, the central, wan chai, causeway bay, happy valley. Best of all, we are given the golden ticket where we enjoy unlimited rides for 2 days, very convenient to shop and ride along these famous streets of HK, can save some money on MTR. But the tram is very crowded during peak hour and move quite slow, if not in hurry can take this tram for convenience. Highly recommended this tram ride for those who come to HK for first time! Great experience to ride the 1920s vintage tram, very nice of the driver to help us take photos before tram ride start and end. Can see many nice buildings, famous streets such as shueng wan, the central, wan chai, causeway bay, happy valley. Best of all, we are given the golden ticket where we enjoy unlimited rides for 2 days, very convenient to shop and ride along these famous streets of HK, can save some money on MTR. But the tram is very crowded during peak hour and move quite slow, if not in hurry can take this tram for convenience. Highly recommended this tram ride for those who come to HK for first time! Fabulous! Pleasant one hour ride on a heritage tram with amazing accompanying commentary on the history of HK. Very pleasant staff as well. This is a MUST DO! Fabulous! Pleasant one hour ride on a heritage tram with amazing accompanying commentary on the history of HK. Very pleasant staff as well. This is a MUST DO! the voucher was very convenient to use. we just presented the printed voucher then they gave us the golden ticket which can be used for two days. the ride was also informative. the voucher was very convenient to use. we just presented the printed voucher then they gave us the golden ticket which can be used for two days. the ride was also informative. Great experience for a first-timer. However, the departure area was hard to find so be there early to give yourself some buffer. It’s actually just right in front of Regal Hotel. Great experience for a first-timer. However, the departure area was hard to find so be there early to give yourself some buffer. It’s actually just right in front of Regal Hotel. This was an interesting ride. Get to see the busy street and the interesting shopping and eatery place/location. It was an enjoyable ride. The tram captain was friendly. This was an interesting ride. Get to see the busy street and the interesting shopping and eatery place/location. It was an enjoyable ride. The tram captain was friendly. Q: This ticket includes "2 days of unlimited access to the Hong Kong Tramways' network", do I have to use the pass on consecutive days or I can use it on non-consecutive days? A: You have to use the pass on 2 consecutive days.